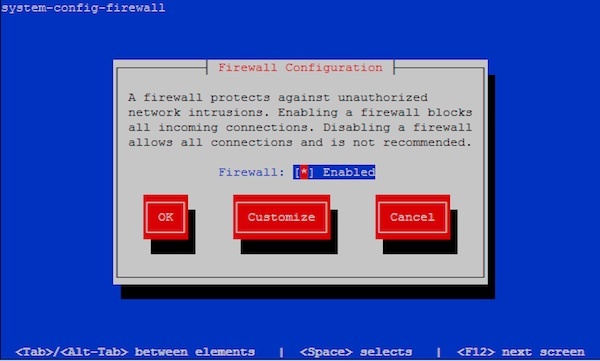 CentOS 7: How to setup TUI Firewall settings? For clean minimum CentOS 7 installation, have to manually install the system-config-firewall-tui. Bad news is that after you install this TUI firewall settings you still can’t execute it instantly, you need to do a little bit more in order for system-config-firewall-tui to be executable.